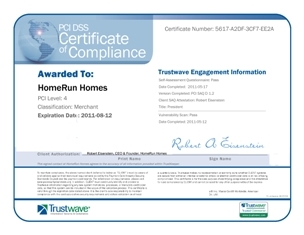 HomeRun Homes (www.Lease2Buy.com) is proudly celebrating their 9th anniversary, and is announcing substantial strides toward their goal of bringing the Rent to Own Option into the mainstream of Real Estate Transactions. (1888PressRelease) July 18, 2011 - Ronkonkoma, New York - HomeRun Homes (www.Lease2Buy.com) is proudly celebrating their 9th anniversary, and is announcing substantial strides toward their goal of bringing the Rent to Own Option into the mainstream of Real Estate Transactions. Eisenstein and HomeRun Homes are mapping out another powerful year, with some very helpful new projects on their agenda. Some of these projects include; making a mobile-verion of the website (for Androids, IPhones, IPads, etc), adding additional payment options for customer convenience, creating a video tutorial series for the website, and creating a page devoted to the listings (Ads) RSS feeds from the website.